Locally designed and beautifully made, these gorgeous cold weather comforters for kids are the perfect balance of practicality and style. When Jolie Petite Chose first launched, we introduced you to its incredible world of of baby mobiles. A few years down the track and there are some delightful additions to this growing label, including children’s textiles. 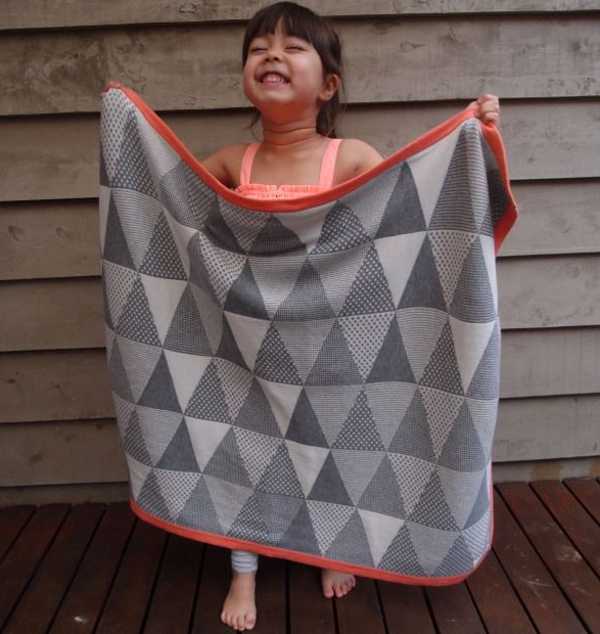 The Knitted Jacquard Blankets are the latest creations in the the Jolie Petite Chose fold. The blankets are made from cotton jacquard, with the colour of the moment – grey – featuring heavily, accented by pops of colour. There are three colours available, in both gender specific and neutral designs. 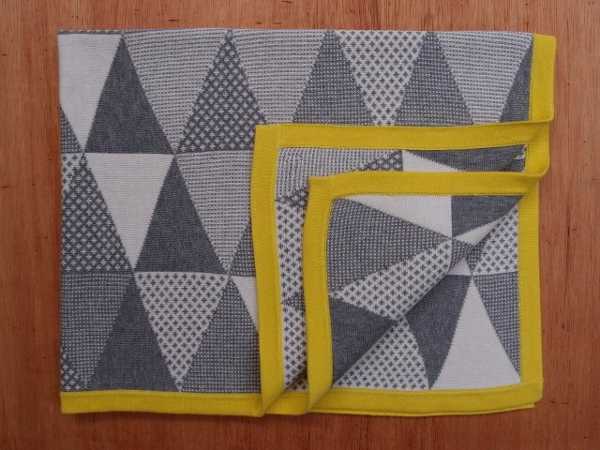 They are the perfect size for bassinets and prams, and look great thrown over a comfy kid’s reading chair. The cost is $79. Jolie Petite Chose now also produced beautiful quilts, which are designed to fit cots. Made from cotton and bamboo batting, they cost $215. 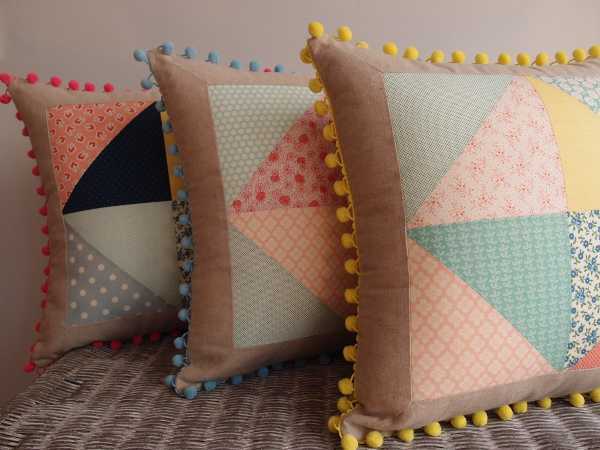 To complete the look, there are some really bright and cheerful cushions also available for $75 each. Shop the range at Jolie Petite Chose.